Perfect location in the center of the prettiest Moselle River town. Spacious rooms, friendly owners, good breakfast. All around recommended! A small hotel with basic facilities, but it was perfect for our one-night stay. The breakfast in the morning was lovely - exceeded expectations. Very comfortable beds. Excellent restaurant. In centre of village which is traffic free. Friendly hosts. Good location; spacious room; the bed was good; room was clean. Nice hotel right in the middle of beautiful Bernkastel. The owner was very helpful and apologised for the absence of TV in the room because of renovation works in progress. Super location - literally steps from the historic and beautiful town centre Hosts were friendly and helpful. 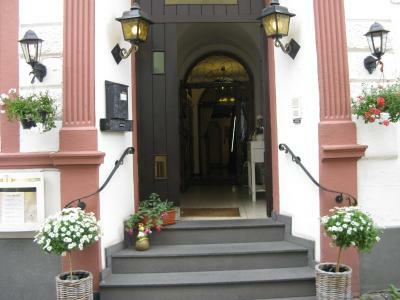 I loved this hotel, set right in the middle of Bernkastel-Kues. It's a proper German family run hotel and everything is as it should be. The owner is ever so helpful and speaks good English. Very nice rooms, some with wonderful views over the rooftops. Good parking for bicycles. Plenty of nearby restaurants. Friendly staff, situated right in the old center, everything very clean, highly recommend it. One of our best sellers in Bernkastel-Kues! 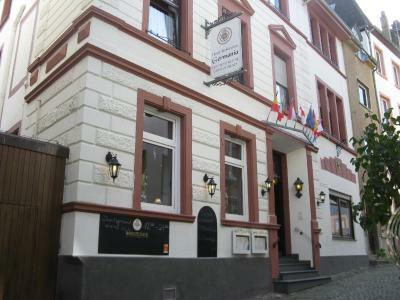 Centrally located in Bernkastel-Kues, Hotel-Restaurant Germania features a terrace and a shared lounge. The accommodations offers room service and free WiFi. Renovated in April 2019, all rooms have a mini-bar and a bathroom with free toiletries and hairdryer. A buffet breakfast is available every morning at the property. Indian cuisine and local dishes are served at the hotel restaurant. Guests can also relax at the hotel bar. Trier is 28 mi from the hotel. Frankfurt-Hahn Airport is 17 mi from the property. 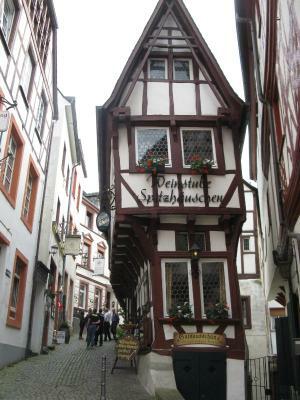 Bernkastel is a great choice for travelers interested in food, wine shopping and wine. 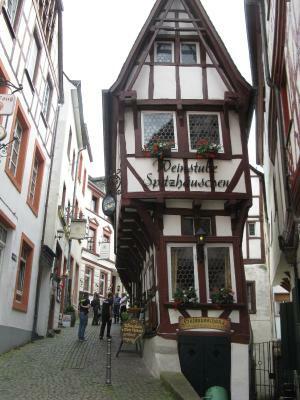 This is our guests' favorite part of Bernkastel-Kues, according to independent reviews. When would you like to stay at Hotel-Restaurant Germania? Hotel surroundings – This neighborhood is a great choice for travelers interested in food, wine shopping and wine – Check location Excellent location – show map Guests loved walking around the neighborhood! 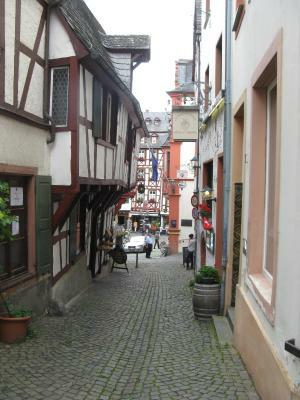 Enjoy famous Moselle wines in the perfect setting of romantic cobblestone streets and half-timber houses. 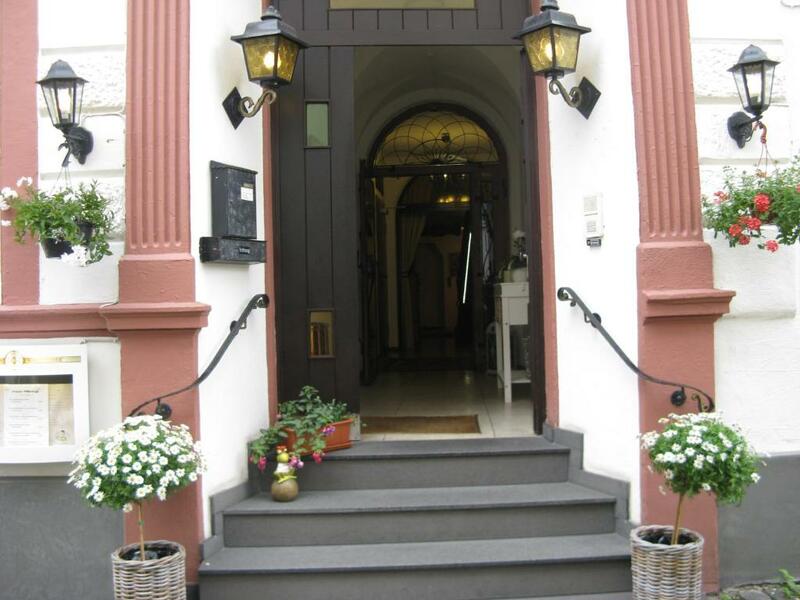 House Rules Hotel-Restaurant Germania takes special requests – add in the next step! Debit card Hotel-Restaurant Germania accepts these cards and reserves the right to temporarily hold an amount prior to arrival. Hotel-Restaurant Germania accepts these cards and reserves the right to temporarily hold an amount prior to arrival. One of the most picturesque neighborhoods in Bernkastel-Kues! There is no elevator so we had to take out bags up 2 floors. The hotel is in a walking only street where cars are not alowed to come, so you cannot Park at the door to unload the bags. In the morning the noise from the street starts early because there's some commerce but also construction going on nearby. There are no shutters, so the light comes in first thing in the morning. The WiFi is not that good, cannot run Netflix. We arrived with eight motorbikes and the staff went out of their way to accomodate us. Its a beautiful location, nice rooms and an excellent breakfast.